Leaving Idaho, we pulled ourselves away from Harrison and the Osprey, and passed by St. Maries, where we wandered along the gorgeous St. Joe River. Even though campgrounds line the river, many were full of campers / aka fishermen enjoying some fishing. As night was fast falling, we were kind of grumpily looking for a nice little spot, when we came across a dirt road pullout with two campfire rings right on the river. We pulled in, set up, ate some quick dinner, and settled in until morning. 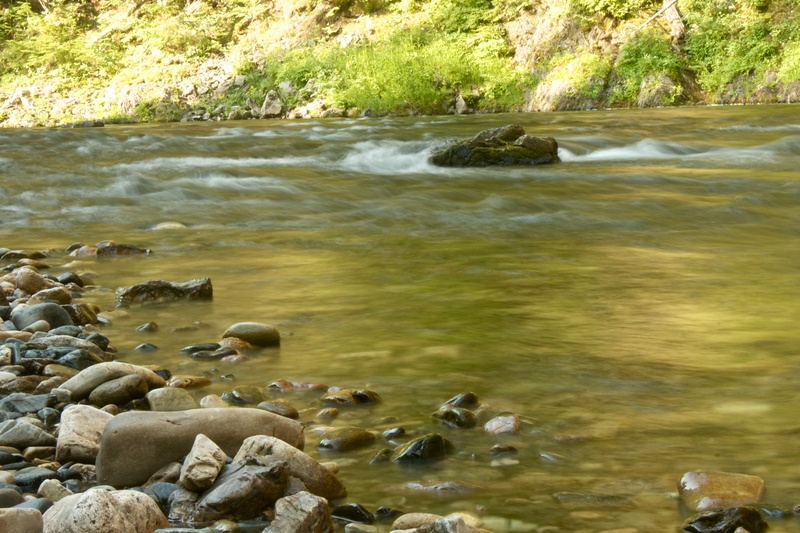 Rugged mountains, clear flowing water, and many colors of beautiful rocks greeted us along with the morning sun. 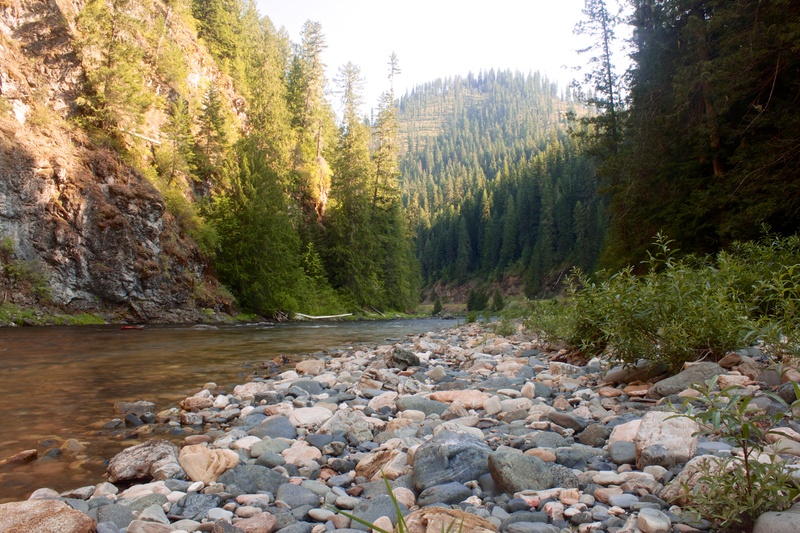 We walked the river, enjoyed the scenery, collected some rocks, guessed what they were, and wondered about minerals. At one point in life, we would have hauled this bounty of collected rocks around with us, and taken them home for memories. 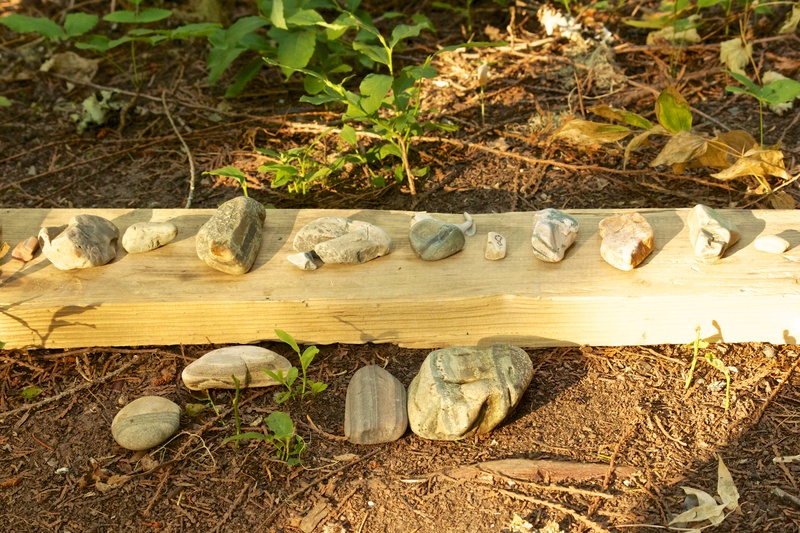 Now, after learning to enjoy life with less stuff, we created a sacred circle of the rocks on top of a stump and left them for the next person to enjoy, or for Mother Nature to take back to the river with next winter’s storms and flooding river banks. We’re learning to enjoy the beauty of the moment, without having to possess it’s artifacts. 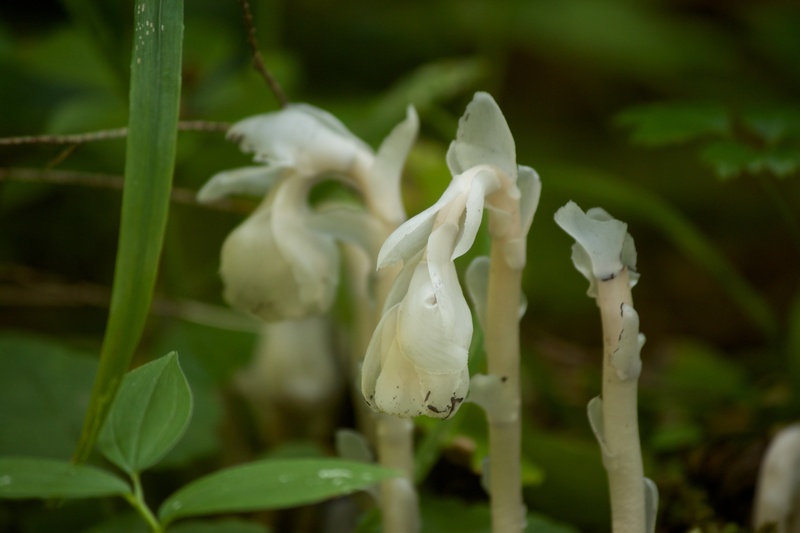 Growing right along a path, where back country hikers travel off the main trail to camp in this same spot, we found this delicate little beauty, Monotropa hypopithys. 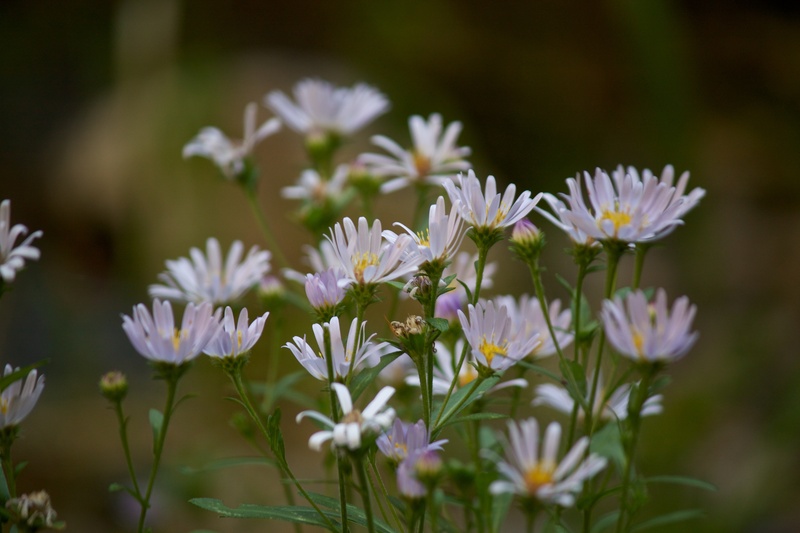 And lots of these purple Asters. Languishing in the Beauty, we eventually packed up and continued down the highway, which, by the way, turned into gravel the moment we crossed the Montana border. Stopping for a toilet break at the next camping spot we were gently reminded that we were now entering GRIZZLY country. 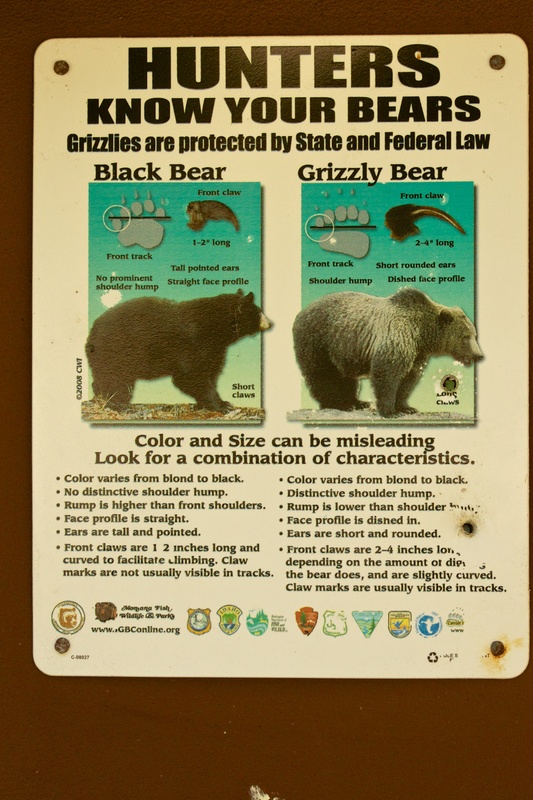 I really hope that a hunter out hunting bear knows the difference between a black bear and a Grizz, but I suppose unfortunately there are some hunters out there that really don’t know. Anyway, I really enjoy these signs posted everywhere. They are educational for the rest of us! Love the sacred circle of colorful rocks. Great idea to celebrate the moment and not bring home the physical item. I could learn a thing or two from you guys.